A woman who multiple law enforcement sources identified as the driver who ran her car into a White House barrier Thursday and died after a subsequent car chase and police shooting around the U.S. Capitol was taken for a mental-health evaluation after an encounter with police in Connecticut nearly a year ago, CBS News correspondent Bob Orr reports. 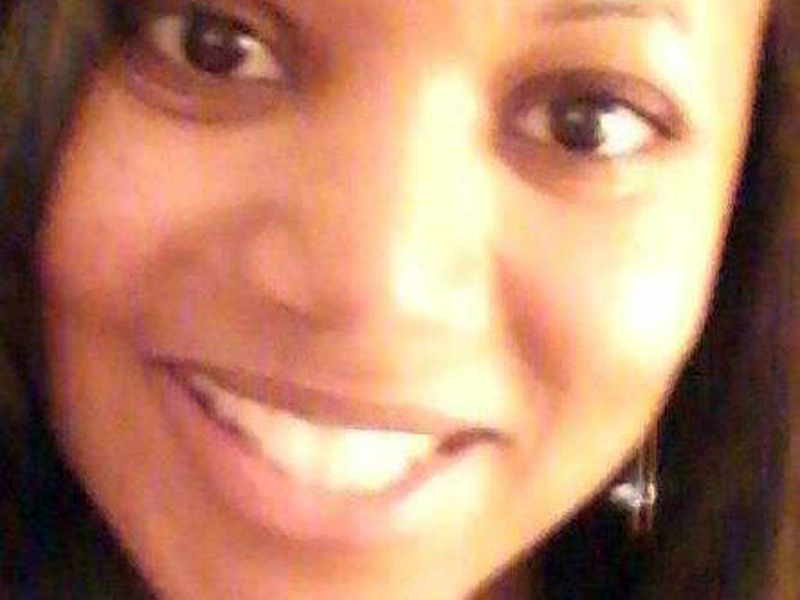 Law enforcement sources confirmed to Orr Friday that Miriam Carey, 34, a licensed dental hygienist of Stamford, Conn., told police in December that she was a prophet, that President Obama would place the city of Stamford under a "lockdown" and that he had her and her residence under electronic surveillance. The encounter led to Carey being taken for a mental-health evaluation, Orr reports. She was not arrested or charged with a crime. It was not clear what kind of treatment was prescribed after her evaluation. The police didn't notify the U.S. Secret Service of its encounter with Carey, and no evidence has emerged that Carey ever made any kind of threat against the president, Orr reports. Her name was not in the Secret Service's system before Thursday's chase that ended when police shot and killed her. Relatives and friends have suggested she may have been battling some form of depression, but investigators Friday still didn't know what triggered the frightening car chase and shooting that played out between the White House and the Capitol with Carey's 1-year-old daughter in the back seat. Meanwhile, a sister of Carey said there were no indications that her sister was unstable. Miriam Carey's sister Amy Carey-Jones said Friday that her sister "seemed OK" the last time they spoke more than a week ago. A second sister, Valarie Carey, said police should not have used deadly force. Valarie Carey is a retired New York City police officer. She said there was "no need for a gun to be used." The sisters spoke late Friday outside Valarie Carey's home in Brooklyn. They say Miriam Carey had been suffering from postpartum depression since the birth of her 1-year-old daughter. Police say they're confident Carey's actions Thursday weren't an accident. Late Thursday night, officials in full hazmat suits evacuated the apartment complex where Carey lived as they searched for clues about what led to the episode. CBS News senior investigative producer Pat Milton reports that, according to a law enforcement source, a robot was sent into the apartment first as a precaution to ensure it was safe before FBI agents entered and confiscated undisclosed items. Agents and local police officers completed the search around 7 a.m. Friday. CBS News senior correspondent John Miller, a former FBI assistant director, reported on "CBS This Morning" Friday that the people who worked with Carey said she was upbeat, happy and normal, but in April 2012 she fell on some stairs and injured her head. When Carey was receiving treatment for the injury in the hospital, she learned that she was pregnant. Carey received a handicapped parking permit because of the injury, Miller reports. Then doctors from the medical suite where she worked complained that she was tying up parking in front of the building and asked her to move her car back. This became a big dispute that led to her being fired. From then on, police interviewing people in and around her life say that she was suffering from other emotional issues that came to the attention of the police in Stamford, Miller reports. "60 Minutes:" Untreated mental illness an imminent danger? But there's still a gap in what specifically led to Thursday's events. At mid-afternoon, Carey's car was surrounded by police on Capitol Hill. The officers tried to pin the car against a sidewalk barrier, but she rammed a cruiser and sped away. Numerous officers opened fire. "I heard the gunshots, and then the car tore out of the area back, you know, toward this direction with the police cars following," witness Peter Plocky told reporters. The vehicle raced around the west front of the Capitol building and then a short time later the car jumped a curb and came to a stop on the east side of the Capitol. The driver was shot multiple times by Secret Service and Capitol Police officers. She was later pronounced dead. The driver was not armed when she engaged police in downtown Washington, but investigators say she was clearly using the black coupe as a weapon, and officers responded, opening fire, ending what they saw as a threat. Miller reports the police shooting will be examined in an administrative review of the agencies involved. "Most police agencies have a policy against opening fire on a moving car; it's inherently dangerous and usually ineffective," said Miller. "But this is an issue of context, which is when you're guarding the Capitol or the White House and someone tries to deliberately ram the barricades and they seem to be trying to get close to the building this is not your normal traffic chase, traffic violation, stolen car. In context, those officers usually factor in is this a car bomb, is this a terrorist attack, is there a button under the dashboard, is there a weapon, and I think there was some high tension." Carey's young daughter, who was in the car during the entire chase, was rescued unharmed after the shooting. "The child is approximately a year old and is in good condition and in protective custody," Metropolitan Police Chief Cathy Lanier told reporters. The bizarre incident began at the southeast corner of the White House. Sources say Carey's car deliberately rammed into a security barricade and then fled. Uniformed Secret Service officers then gave chase at high speeds down Pennsylvania Avenue toward the Capitol. FBI agents were seen visiting the home of Carey's mother in Brooklyn, N.Y., hours after the drama ended. Donald Knowles is a friend who saw Carey just a few days ago. "She was all smiles," said Knowles, "like she didn't have a care in the world."